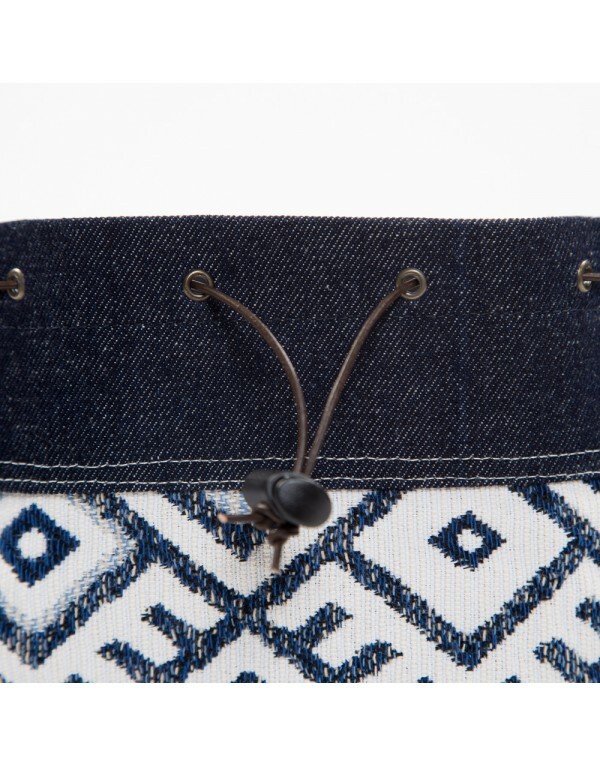 Flexible bag, lightweight and handy with a timeless design that combines Navajo jacquard with dark blue denim. 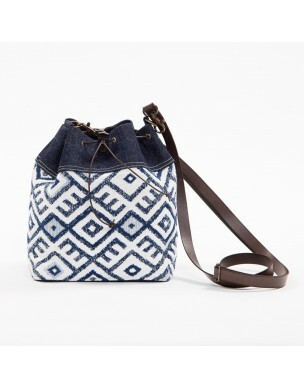 Boho style bag in blue and beige colors, a basic bucket bag you can wear at any time of year. 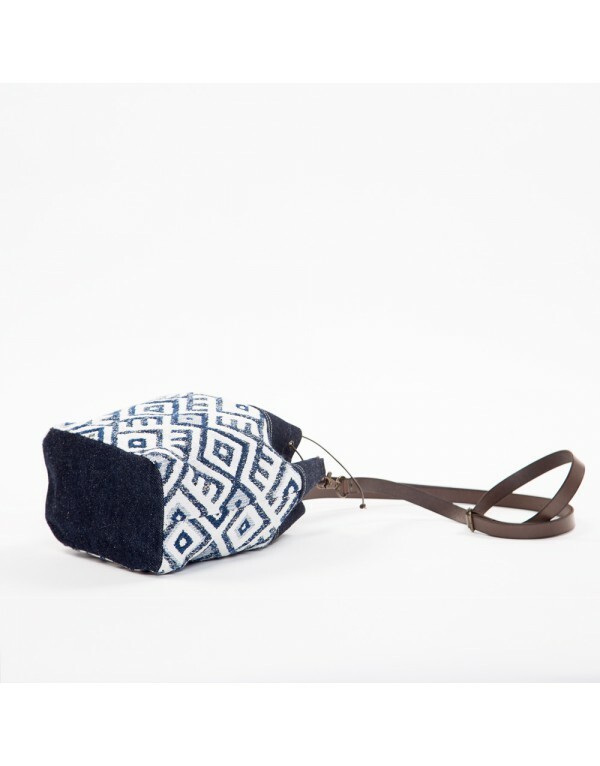 Besides it's a vegan bag it has been manufactured with materials that are not of animal origin. 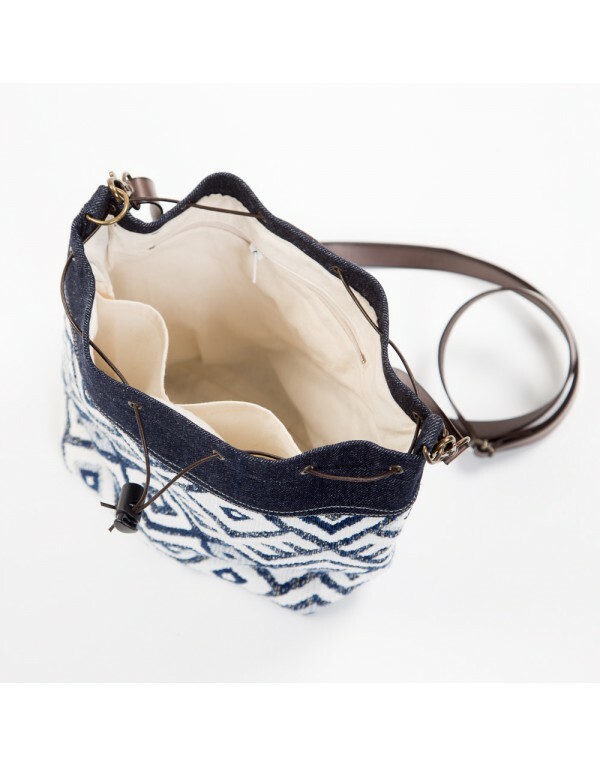 This bag is unique and it's handmade. 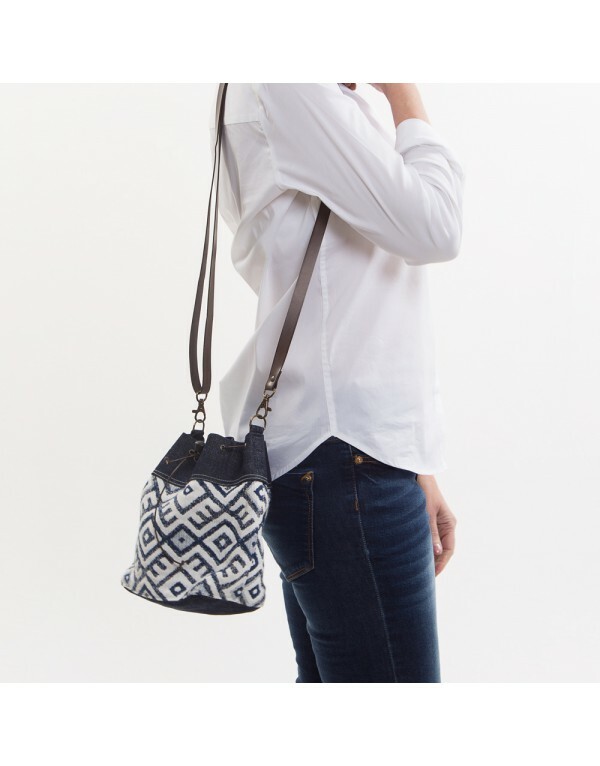 It has ideal size for carrying the essentials neatly using inside zip pocket. 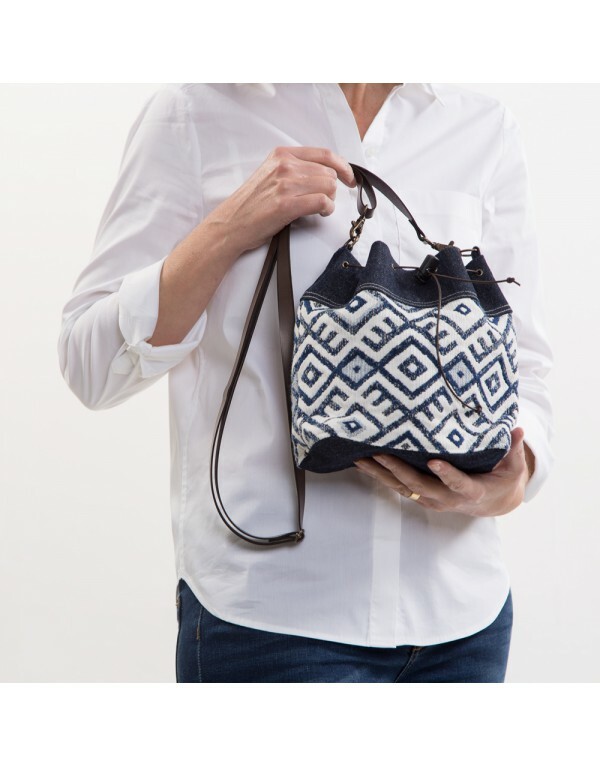 It's a perfect accessory for the weekend. 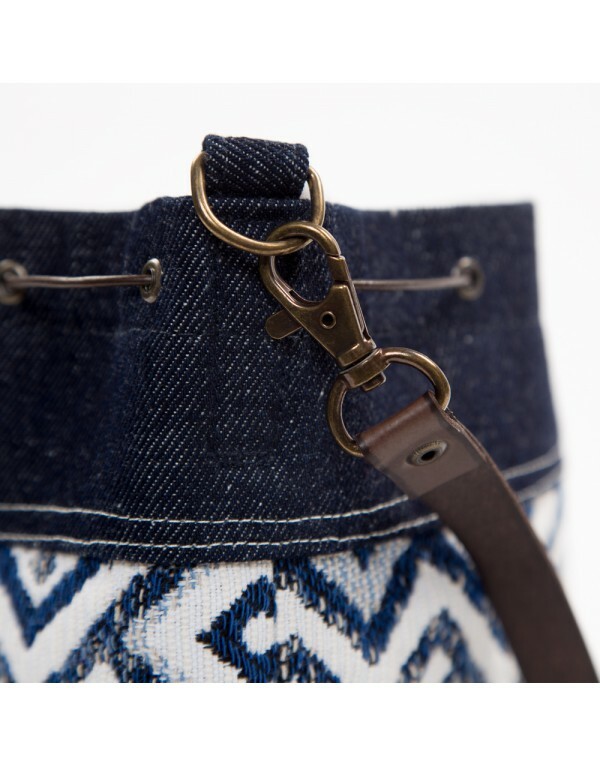 You can take cross-strap style or if you prefer it over your shoulder, you can adjust and make more or less long. 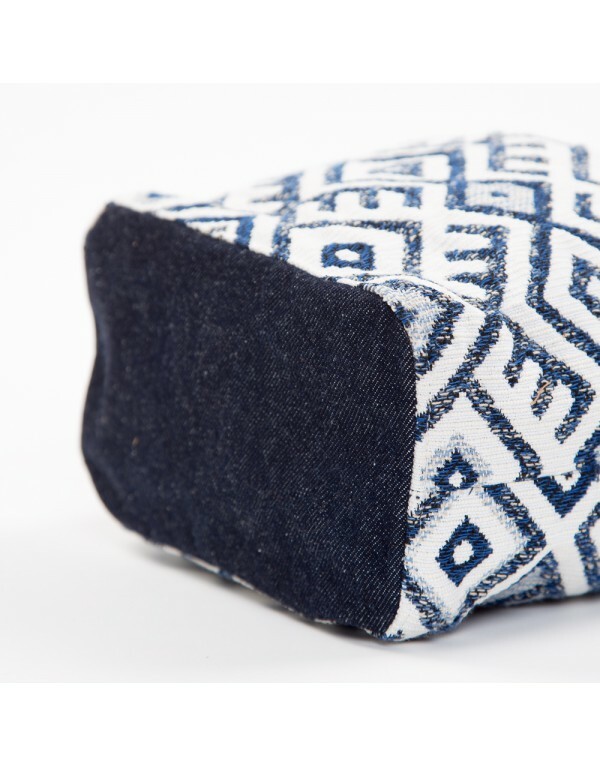 Top cover safety regulator for the crumpled lace. Strip in brown synthetic leather. Removing the handle can be washed in cold water.